Woodman is great, but the artwork in heatman stage need redoing. Did she forgot to mention she was doing a Robot Master contest along with a new plot? 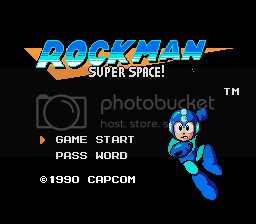 "Not safe for kids over 167"
Hello my name is 32x1000 I am a nes rom hacker and are working on a project called "Rockman Super Space" Originally the game was gonna be a hack of Megaman 2 but I have switched over to megaman 3. I did this due to me being "un-impressed" with my own work...but I loved all the feedback I have received from all of you Thanks I plan to do a little "more" with this hack. 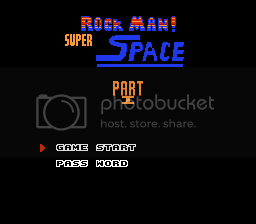 For those who don't know I did a robot master contest and stated that I would not be putting peoples submissions in Rockman Super Space...and that still applies. Anyway please continue sending feedback and ideas I need as much help as I can get. Looks just about perfect, nice work! made the music with vst and pianos. BTW I'm noob in nes music actually.